Christmas upon us once more, and it’s time to get cosy by lighting a festive candle or two. Here at StyleNest we’ve rounded up the best Christmas candles, from luxe to everyday. Covering pine, orange and lavender scents, packaged in everything from smoky glass to gold, look no further than our festive edit. 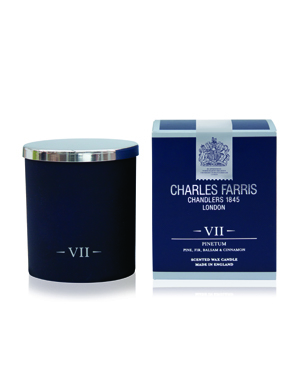 A super stylish limited edition candle, Charles Farris Pinetum is a blend of green pine needles, eucalyptus, birch leaves and sandalwood. This festive mix brings a seasonal scent to proceedings, and we particularly like the chic matte glass surround. Available from 18th November, Ancienne Ambiance are introducing a smoky glass effect to their Sandalum Candle, just in time for Christmas. The candle is an indulgent blend of sandalwood musk and woody notes, adding festive warm to any room. Big Ancienne Ambiance fans, we can’t wait to get our hands on this latest offering. 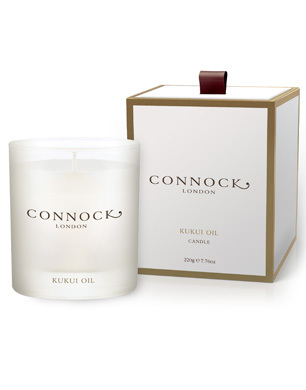 The Connock London Kukui Oil Candle brings a gentle aroma of Gardenia and Jasmine. 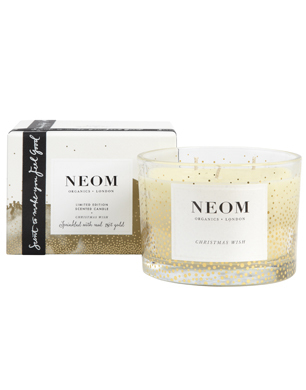 Ideal if you’re not feeling in a festive mood, this candle is designed to soothe and lift spirits. Stylishly presented in a statement Connock box, this candle would also make an ideal stocking filler. 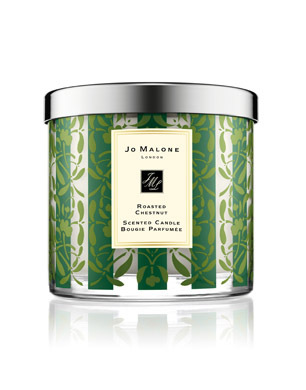 This orange blossom candle awakens Christmas senses, with a festive feel. The French spa brand are beauty specialists, known for their delicious, exclusive blends. 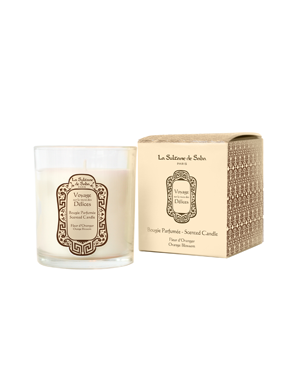 With signature La Sultane de Saba branding, this candle will add luxury to our seasonal countdown. 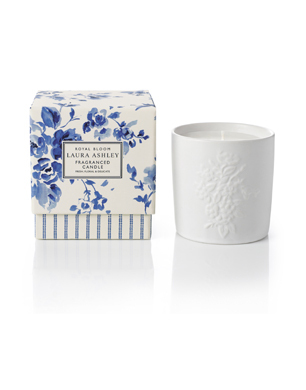 A timeless take on festive candles, this Laura Ashley fragranced number is packaged in a homely ceramic holder. Rose, violet and jasmine tones are wrapped up in the beautifully boxed candle, making it the perfect addition to guest bedrooms or Santa stockings. This 3-wick Christmas Wish Candle comes complete with sprinkles of real gold on the glass. A touch of festive elegance, the candle is a blend of 13 essential oils. 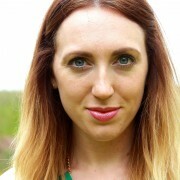 The fragrance used is part of Neom’s Scent to Instantly De-Stress range, bringing calm to a chaotic time. A mix of mandarin, cinnamon and tonka bean will transport you to a place of peace, tranquillity and escape. 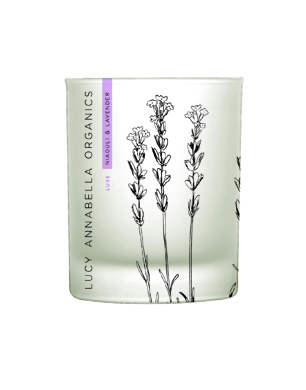 If you prefer classic candles to those with a festive twist, this Lucy Annabella Niaouli & Lavender Aromatic Candle is the perfect purchase. Inspired by the scent of the Provence, re-live summer memories and inhale the candle’s soothing aromatic qualities. Created using organic essential oils, this candle will see you through the fraught Christmas season. The ideal table centrepiece, this Jo Malone Roasted Chestnut Deluxe Candle invokes thoughts of chestnuts roasting on a Christmas fire. 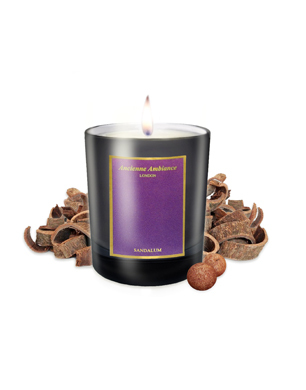 A limited edition buy, the candle is a blend of nutmeg, cinnamon, clove and caramel. Delicious and indulgent, it is a perfect holiday purchase. A seasonal snip at £6, this M&S Vanilla Sugar Scented Candle is presented in a festive gold glass pot. Created using a blend of cranberry, cinnamon, ginger, clove and nutmeg, the candle will bring Christmas aromas to any room. We’re thinking of buying a few, to add metallic detail to our Christmas decorations. 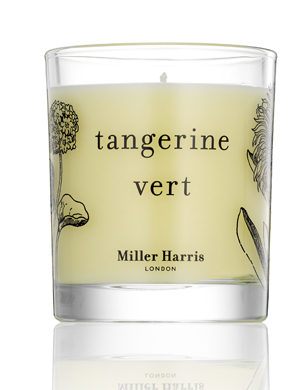 A definite step-up from tangerines in your stocking, we love the scent of Miller Harris Tangerine Vert Candle. Rich and empowering, the citrus fragrance adds an exotic air to your lounge. This candle also makes a refreshing alternative to stronger woody Christmas offerings. With a box that brings Christmas colour, Penhaligon’s Vaara Classic Candle is a blend of coriander, saffron, carrot seeds and quince. 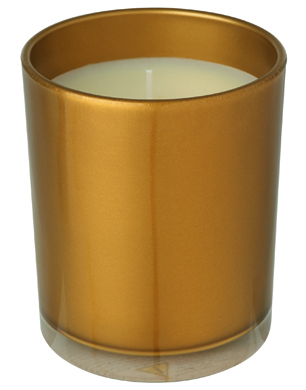 Hand-blended for better burning time, the clean white candle is encased in a glass jar with gold detail. 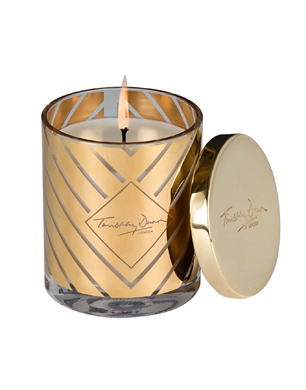 A stunning and indulgent buy, the Timothy Dunn Myrhh Imperial Frankincense & Sandalwood Candle is encased in hand-blown glass which is finished with 24ct gold. With a blend including cinnamon, myrhh, frankincense, sandalwood, patchouli and amber, this candle will bring ultimate luxury touches to your Christmas time.